Joya de Nicaragua is slated to debut the next installment of its Joya line at the IPCPR trade show in July. Dubbed Joya Black, the new blend is a follow up to the Joya Red cigar and is the first ever Joya de Nicaragua blend to feature a Mexican San Andrés wrapper. "We have had these wrappers available for some time, and we wanted to create a blend with rich Nicaraguan tobacco, yet without overpowering strength," said factory manager Mario Perez. Rolled at the Joya de Nicaragua factory in Estelí, Nicaragua, Joya Black consists of a Mexican San Andrés wrapper enveloping a blend of Nicaraguan binder and fillers. Joya Black cigars come packaged in boxes of 20 and are offered in four sizes: Robusto, measuring 5 1/4 inches by 50 ring gauge; Toro, 6 by 52; Doble Robusto, 5 by 56 and Nocturno, 6 1/4 by 46. The cigars will carry a price range between $5.50 and $8 per stick. This is the first new addition to the Joya concept since the company launched Joya Red in 2014. 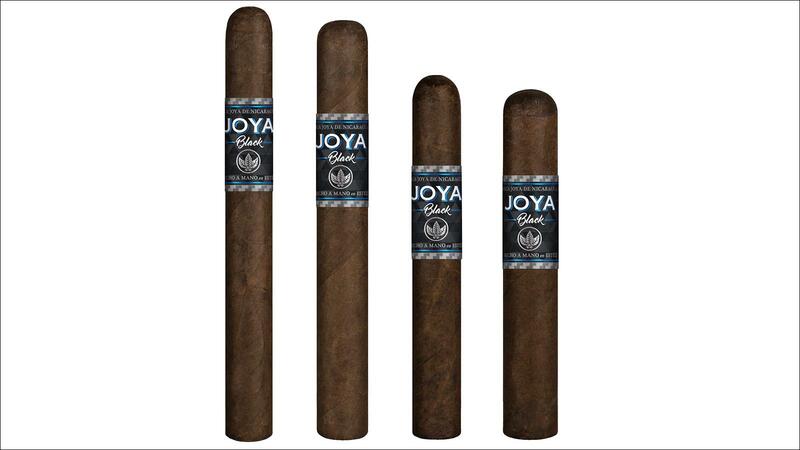 Joya Black and Joya de Nicaragua products are distributed by Drew Estate, a subsidiary of Swisher International, Inc. This article first appeared in the June 21, 2016 issue of Cigar Insider.